It seems that the 'Club Nintendo' replacement, 'My Nintendo' is poised to kick off in March 2016. The Japanese Nintendo website first released the information regarding the system though this program won't be limited to just our friends over in the land of the rising sun. 39 more countries will be included. The service will be an overhauled new way for Nintendo to connect with the gamers using their systems, playing their games, and enjoying their content. From a Cloud-based data service, downloads, and even a renovated friend's list, Nintendo plans to get it's gamers more involved with each other and itself. Coupons and e-mail promotions will also be part of the package. The Friend's List looks like it'll be fully customizable with custom profiles as well as recommending content based on that particular gamer's past focuses and attentions. You'll also be able to buy games on other content from PC/Mac/Linux web browsers or even mobile devices. 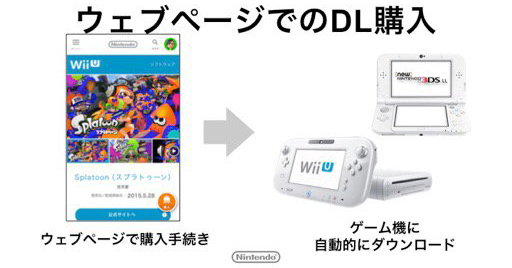 Then you can transfer it right away to your Wii U and/or 3DS. Reward-wise, the system looks similar enough. However earning Platinum and Gold points is now not one in the same. Gold Points are used on things like DLC coupons and game coupons. 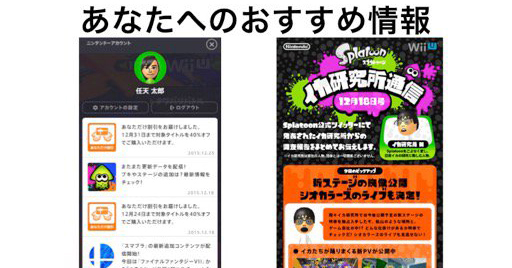 Platinum Points are most likely to be used on themes, avatar (Miitomo?) gear, and downloadable games. Click the photos for slightly larger versions. Not too much else is explained on the website but I really hope that this will lead to true gifting of games. Our Negative World Secret Santa has been in flux since the Wii U took away the ability to freely gift games. Our Wii's handled this just fine. The website Nintendo has for this kind of thing has been a benefit but it still limits many choices. I for one am quite excited to see this finally happening. As a Platinum member of the original Club Nintendo every year of it's existence, I am ready to earn some coinage once again. Hell, this makes me want to wait longer for buying any Smash DLC… coupons for DLC?… sign me up! Who did you start your journey with in Octopath Traveler? I've been doing that for a few months now. Mario Maker, Paper Jam, a pile of Smash DLC- all purchases left on the backburner waiting for this. Did we get nothing related to NX tonight? No nothing. Bet that means a 2017 release. Great news, I am looking forward to fill the void in my life that was once occupied by Club Nintendo. I'll keep an eye out for stuff until March. Soo...we REALLY should wait until this thing launches to get games? Or are you guys just saying that? I'm not itching to play anything, and the DLC from Smash Bros. w/ Ryu hasn't even been played by me yet. I downloaded it, and its sat there, etc. Yes? Any word on unified account systems yet? Like, will my digital purchases go with me to the NX? Or will there be a small fee for each one the way you could technically transfer Wii VC stuff to the Wii U? Forgive my ignorance on this stuff, I don't usually look very deeply into it. Up to you. I'm not just saying that. My Nintendo purchases have been consciously slowed the last few months. I jumped on a couple of things I really wanted to play then and there, but for the most part I've restrained myself. Cool. About time. We were supposed to get this last fall. If it had been up and running then, I would scored with all the digital games I bought during Nintendo's eShop sales they've been having. My concern is if this is linked to a specific software purchase (namely TP) because I have no intention of buying it , at least anytime soon. Hopefully it's just a generic reward we can grab. That'd be cool. Ah, good deal. I hope we find out more soon. It's supposed to launch this month with My Nintendo. Some intriguing stuff, the 'Missions' concept seems interesting. I wonder if it will percolate down to game software ala Achievements and Trophies. Tying that sort of thing to tangible rewards would be a bold move. One game of note is that WarioWare Touched will be available for download on 3DS for 1000 Platinum points. So how is it that Nintendo couldn't get Super Nintendo games running properly on anything but New 3DS, but they were able to get at least one DS game running for non-New 3DS systems? Doesn't exactly add up, does it Nintendo? @WrathOfSamus777 Because the 3DS isn't emulating the DS, it has actual DS hardware that it uses to play DS games. I wonder if stuff we have already done will translate into rewards, coins, or whatever. For example, those SNES games we've bought recently. The New 3DS I bought after Club Nintendo shut down, etc. Ok. Then why are there not more DS games for download on the eShop? Why are there not more SNES games on the WiiU eshop? More N64 games? How come there hasn't been a new Game Boy model since the GBA Micro? And why the hell can't I get decent Mexican food where I live anymore?